On Friday Sept. 21, the Dodge City Community College Little Theater was filled with voices of the future. 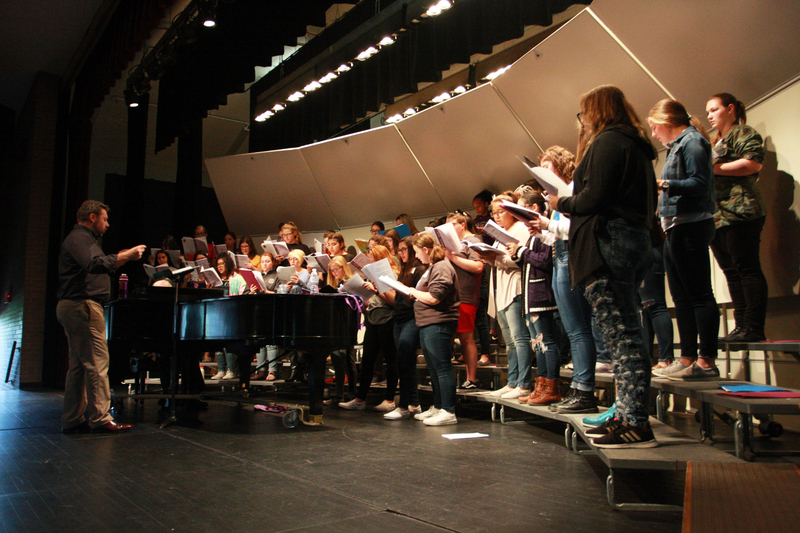 High school singers from seven schools across southwestern Kansas congregated at DC3 preparing for State Honor Choir auditions in November. Kerry Kuplic, associate professor of vocal music, directed 85 singers hoping to get a shot at a state performance. The students spent the entire day on the DC3 campus practicing their technique and learning the assigned material. Students were able to see the campus and interact with staff and current students from the college’s choral music department and hear about opportunities for scholarships and events at DC3. 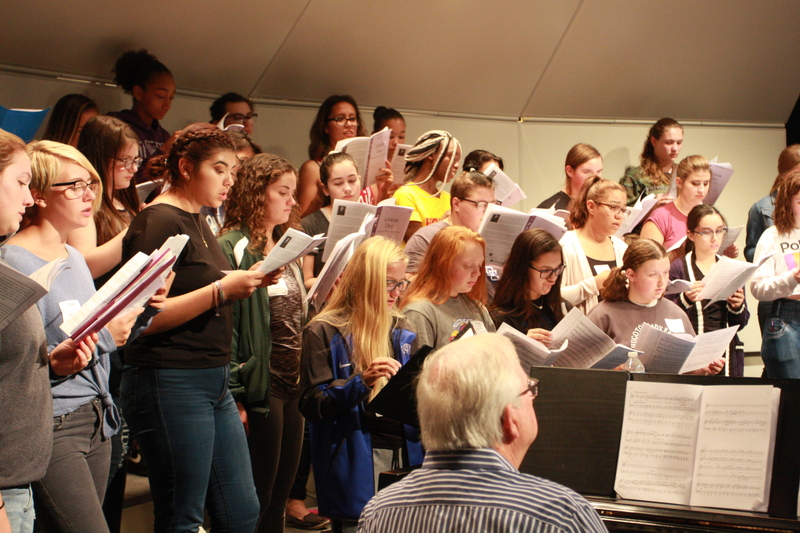 The singers received the selected music only after arriving at the college and rehearsals for more than six dozen singers were crammed into a few hours. The auditions are a definite recruiting tool for Kuplic and the choral music department, but he said the event is as much an outreach effort as anything else. Selected students will perform at February’s Kansas Music Educators Conference in Wichita.